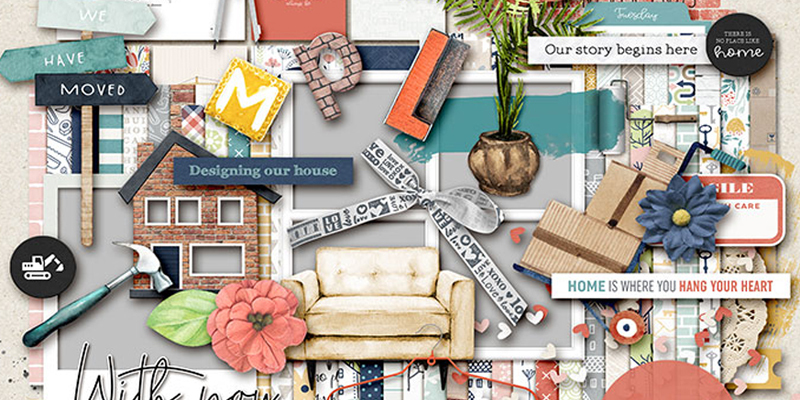 Welcome here at my blog were you'll find another part of the amazing bloghop from the Digiscrap Parade aug.2018. This time the theme is ''Schooled''. Perfect to scrap all school memories! Just in case when you are lost.. click on this banner above and it will take you back to the Master list. 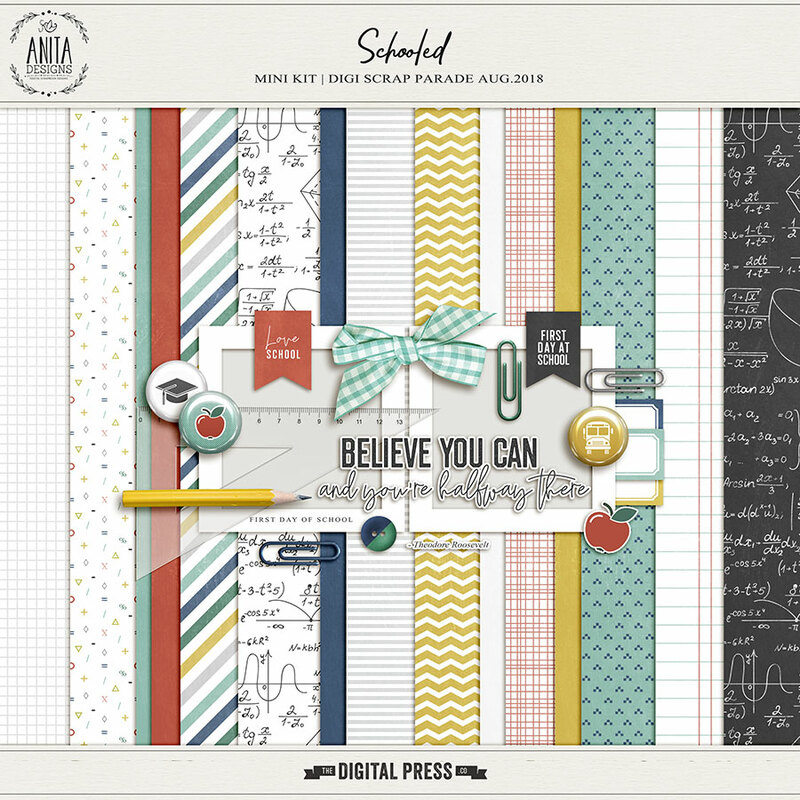 Make your way to the next blog and check out the freebie that Rachel Hodge created for you! I hope you enjoy all these wonderful freebies! It has been a while since I last wrote here. So much has happened here, we had plans to move, but then decided that it was better to renovate our house with new doors and windows, blinds, new rooftop, the garage, the bathroom and toilet, the floor tiles and our garden. And with all the people that work here at the renovations there is not much time to design, but.... we are nearly at the finish, for only the garden still needs to be done! The big thingies are done now. And it looks AWESOME ! Meanwhile I was working on a collection with one of my best digifriends ever Kim, from Kim B. Designs. We were both busy with renovations / new house build / moving / and house decorations, that we have decided to make a collection that would include it all. 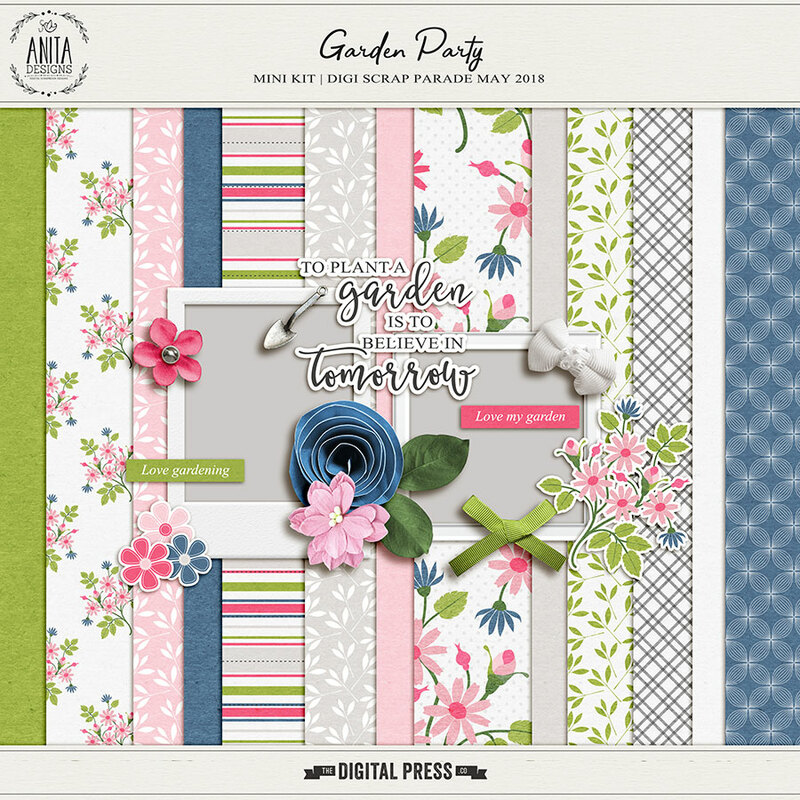 Yay a new Digiscrap parade bloghop, and it's all about Garden partys..! A little lost? Then just click on the banner above to be taken to the Master list. 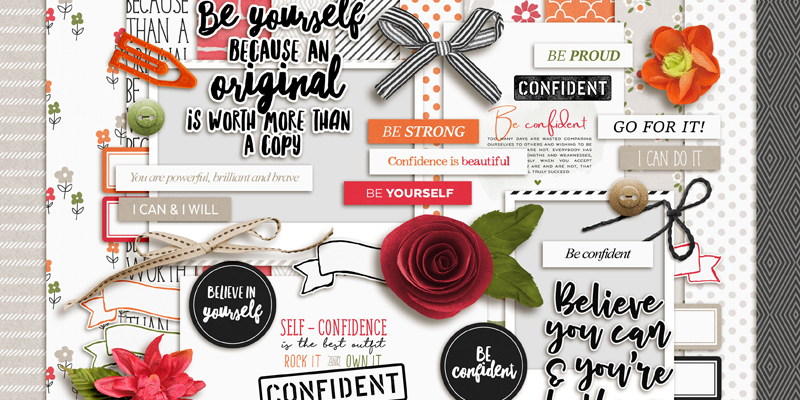 You should have come from Jen C Designs Blog ! 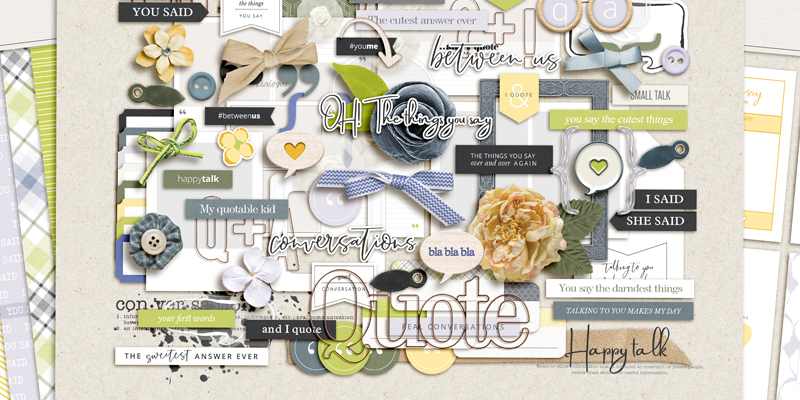 Make your way to the next blog and check out the freebie that Sherry Ferguson created for you! April started, Easter has passed, and sunny days with warmer weather is coming slowly, the time for house spring cleaning has arrived, well... I have that itchy feeling to start cleaning but our house is a big mess... Yikes! Why? Because we are renovating our home, the toilet room and bathroom, old stuff out new stuff in, and removing those tiles from floor and walls and removing the tub and toilets left a lot of dust with bricks and tons of mess...... and if you think the dust disapears when you dust it off.. forget that LOL new dust keeps falling. It took almost a week for the worst to disappear. And now we are waiting for the new windows and doors to arrive, (wednesday morning) and after that, they can finish up toilet and bathroom areas...... I SO LOOK FORWARD to that ! I really really mis my bathtub. Anyway... enough frustrations LoL now the fun stuff !! 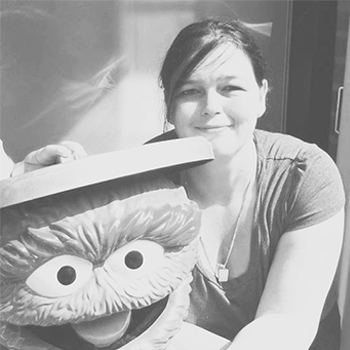 It's been a while since my last blogpost, sorry for that! Today Elif from Sahin Designs and I released our newest collab. It's called Dialogue, and it's all about conversations, first words, funny things said etc. And every pack is 30% through the weekend! Let's meet! Read a little about me here.